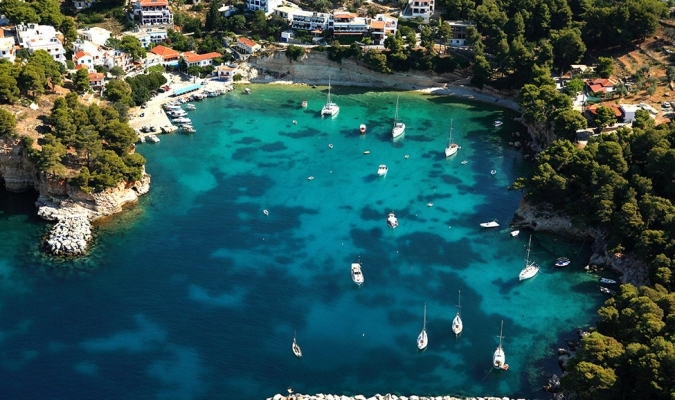 After Skiathos and Skopelos it is the third member of the Northern Sporades. Alonnisos is also the name of a village on the island, as well as the municipality that encompasses the island and the village. 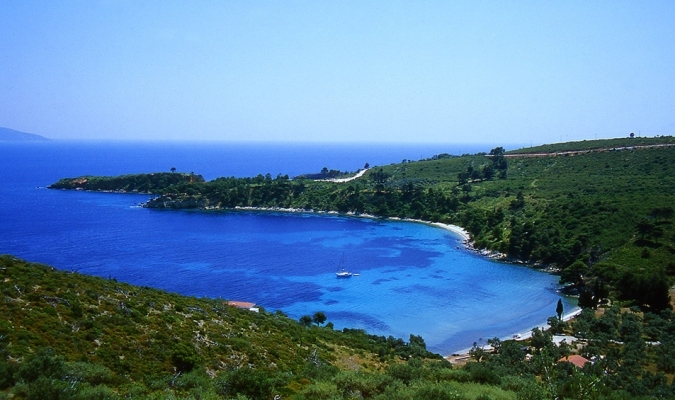 The village of Alonnisos is located on the southern part of the island. It is locally known as Chora and signposted as The Old Village. The main port of the island is located in the southeast and is called Patitiri. Clear blue waters, organized or non-organized beaches and beautiful places to explore, relax or... take summer photos. 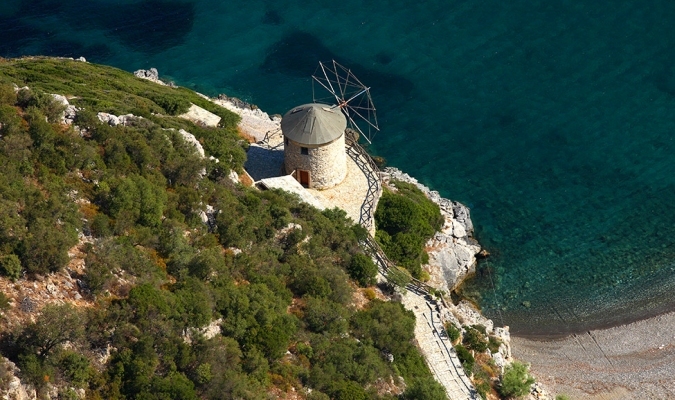 Agios Demetrius, Kokkinokastro, Leftos Yalos, Megalos Mourtias, Milia and Chrissi Milia are some of Alonissos' most typical organized beaches. Along the south-eastern coast of the island, there is a variety of beaches for all tastes! If you are looking for sceneries of golden sandy and colourful pebbly beaches or rigid yellowish rocks and reddish cliffs, this is the best place for you. 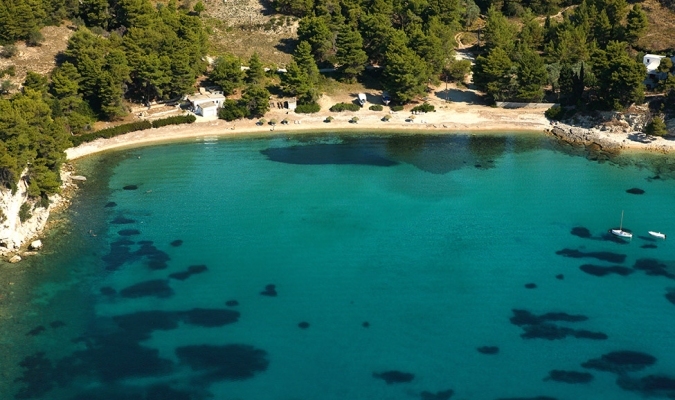 Most of the beaches here are hidden or well-protected in bays and surrounded by pine or olive trees. The north-western coast of the island is rocky and often inaccessible by land because of craggy terrain and steep rocks sinking sharply under the sea. The various small beaches in the northern part of the coast are only accessible by boat. For beaches accessible on foot or by car, visit the southern part of the coast. Nice small beaches are also found along the gulf of Megali Ammos.